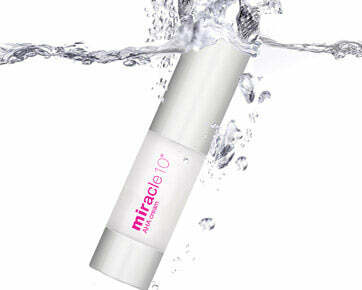 The powerful, active ingredients contained in the Miracle 10 proprietary formulations combat the signs of aging, fine lines, dullness, sensitivity, hyperpigmentation, and acne for a more refined and rejuvenated look of the skin. 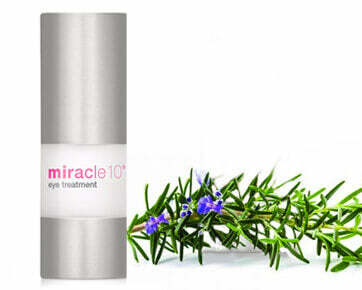 The laboratory tested Miracle 10 skincare ingredients help to reduce signs of aging, minimize pore size, heal the look of acne, and greatly improve skin elasticity, texture, and tone for transformative results. Designed for three distinct skin types, these sets include a complete skincare regimen packaged in travel size bottles that conform to airline carry-on regulations and fit into your purse or luggage. A beautifully formulated step-by-step skincare program designed to bring a whole new level of beauty, clarity, and radiance to the look of the skin, suitable for use by day and by night. 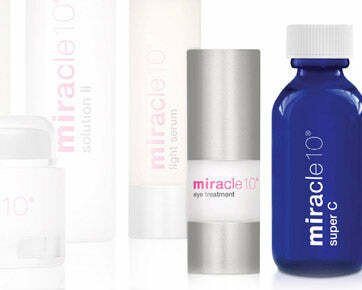 Enhance the results from your basic daily skincare regimens with these booster skincare products for spectacular results: Greater clarity, smoother, glowing and younger-looking skin. 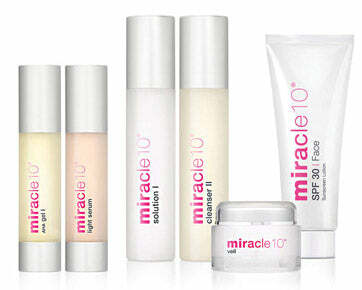 Whether you're looking for travel-friendly product sizes or simply wish to trial a new item before integrating it into your skincare routine, Miracle 10 samples offer a four-week supply of some of our best sellers.